In this fiercely competitive market, there are indeed numerous ways to market real estate businesses – be it radio ads, billboards or flyers. However, most of these ways fail in reaching out to potential buyers at the right time and in the right manner. Shouldn’t technology be able to address this problem efficiently? That’s why today beacon technology has garnered tremendous momentum among real estate folks around the world. Whether you’re starting out in the real estate space or are a seasoned pro, beacon technology promises you a list of new ways to reach out to prospective buyers at the right time and in the right manner, to help you sell more and save marketing dollars that you would otherwise invest in billboards and banners. In the recent months, your fellow realtors have already been deploying beacons successfully to drive powerful use cases for their businesses – be it for attracting buyers, engaging with them or gathering analytics. To help build on top of these already successful campaigns, I have three quick hacks – that will positively impact your sales! New to Beaconstac? Read about how to create a basic real estate beacon campaign. Most buyers today, begin their hunt for a new address on the web and they do not even bother to go visit a property in person if they don’t find enough visual and factual information about the property. This understandably puts a lot of pressure on you to get better and better with your visual presence and engage the increasing technology savvy market. 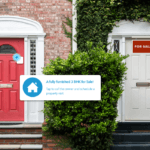 Using Bluetooth beacons to send notifications about your listing is great, but to make the notification all the more engaging, you can embed a virtual tour in your markdown card. How can I create such a notification card? There are multiple platforms online where you can easily create virtual videos of your property – Matterport being one of them. To keep it simpler, you can just use your mobile device or DSLRs to shoot a video of the property – that’s equally helpful. Upload those videos to YouTube or Vimeo and fetch the video link. Navigate to the “Markdown Cards” section on the Beaconstac platform and get started with your campaign card. Create a card and fill in the title, body and CTA for the campaign. Click on the video icon in the toolbar and paste the YouTube or Vimeo link! Tip: Not just a video of the property, but you can also shoot a video tour of your neighborhood and embed it on the notification card. This gives prospective buyers a much better feel for what a neighborhood it is like to live in. This is especially helpful when the beacon campaign is set up far from the property, for eg, near your real estate office or a trade show etc. The call to action is THE most important component of a markdown (/notification) card, yet it’s often missing or not best utilized. Your buyers receive notifications on the “mobile devices”. Why not use the properties of the phone to make the CTAs all the more powerful? On devices with phone capabilities, it is easy for buyers to directly connect with you by simply tapping a phone number, or more commonly known as click to call. All you need to do is replace the phone number with this code! Beaconstac automatically makes this a clickable CTA as shown in the image above. It’s a small trick but incredibly helpful! A lot of our current customers have increased their calls by 30-40% using this feature. According to NAR statistics, 35% of all the buyers in 2016 were millennials and this number will only continue to grow in 2017. With these statistics and millennial’s addiction to social media, one thing for sure – Social proof is sure to work! Here’s a story of Alex Wang on how he weaponised Snapchat to sell houses in the Silicon Valley. As a real estate professional or a house owner you can leverage Instagram stories, Facebook check-ins and Snaps from other visitors to your property. This not only drives a sense of urgency in the minds of the buyers but also builds their confidence about the neighbourhood and locality. How to insert these GIFs on the card? Beaconstac supports GIF in the markdown card! Just as you upload images to the Beaconstac platform, you can upload a GIF. You can also give links to these tweets and posts if required. Download the Eddystone 101 ebook and become an expert on what you can do with it. Will you be the next realtor to leverage beacon technology for your business? We certainly hope so. 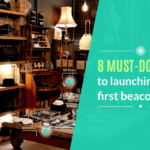 These are quick but effective hacks to kickstart your beacon campaigns in real estate. Are there other ways you can think of? Let me know in the comments below.